Several witnesses interviewed during the canvasses of The Turn, Campus Walk and businesses in the area of the murder reported seeing a man on the night of Kristi Waterson's murder. 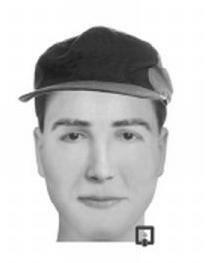 The Yoknapatawpha County Sheriff's Department worked with each of those witnesses to develop a composite picture of the man. 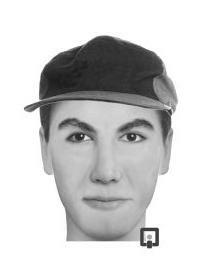 Multiple composites were created, compared and, with the assistance of the witnesses, ultimately consolidated to the two below.